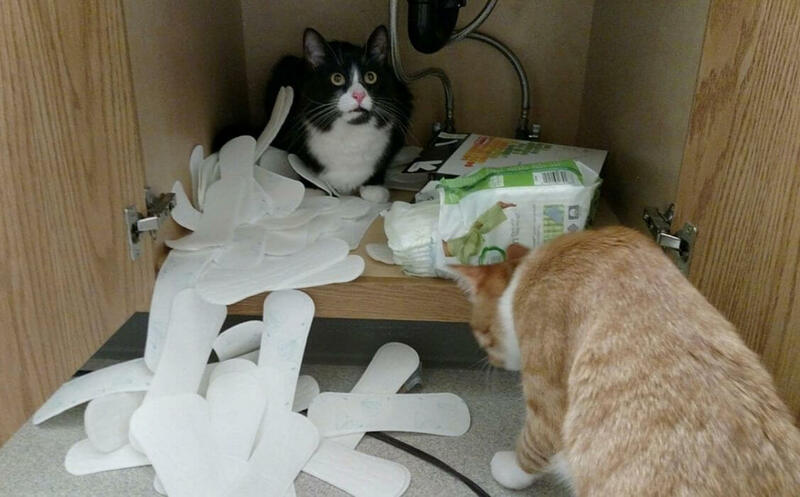 These cats got into quite a bit of mischief, rummaging through a box of sanitary pads under the bathroom sink. While that may have been fun in the moment, getting caught doesn’t look so fun, judging by the look on the black cat’s face. Of course, he probably doesn’t care much, since he’s a cat — and the moment he gets another chance to do the exact same thing, you know he won’t think twice about it. Who knew that pads could be so much fun for a feline that doesn’t actually need to use them?